Capra Handmade Leather Backpack & Rain Cover Giveaway Winner: Congratulations to Dustin W. of Brookings, OR, winner of the Capra handmade leather backpack and rain cover. Thanks to all entrants, and be sure to check the Dude homepage or Dude Giveaways section for your chance to enter our latest prize drawing. This giveaway concluded on September 9, 2018. Our trip through summer is over. Are you packed and ready to return to fall? 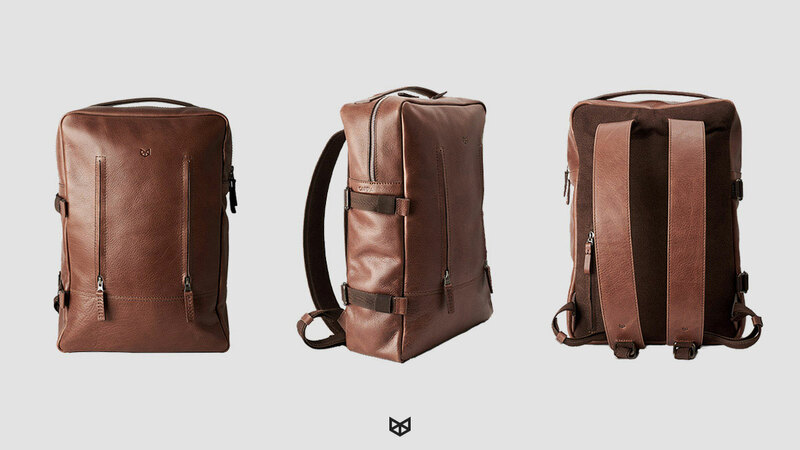 Go back in style when you click here and enter to win a choice of handmade leather backpack and pack rain cover from Capra Leather! Up to a $300 value! Inside a Bogota, Colombia design studio that looks as clean and modern as the leather goods that come out of it, Capra Leather handcrafts all components of their backpacks, from hand-punching every hole on the pieces to be stitched, to lining up the Montserrat typeface letters of customers' custom backpack engraving requests. 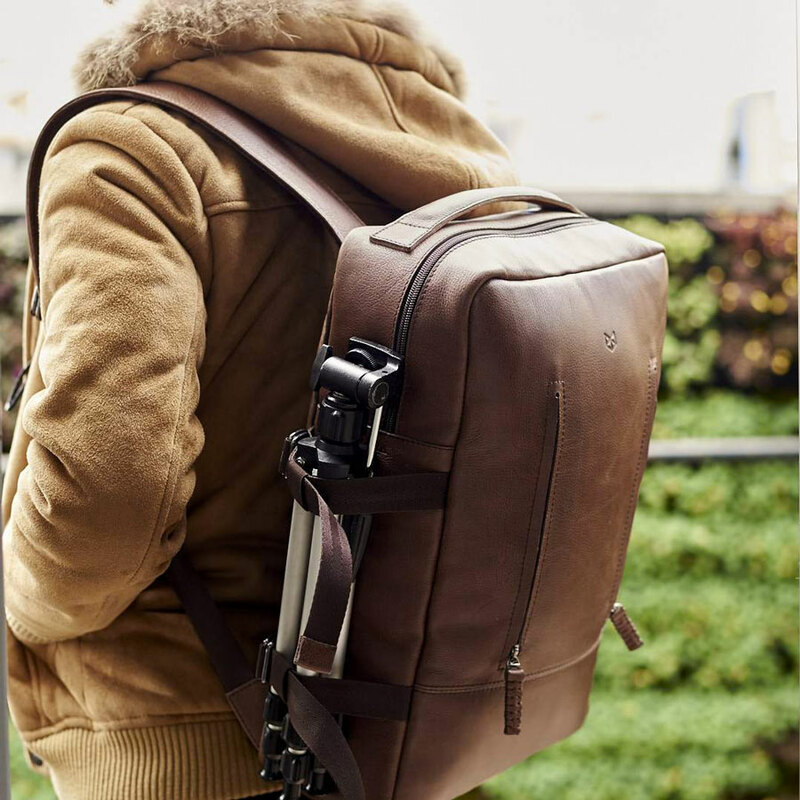 Dude's giveaway winner will get their choice of having Capra's artisans stitch a classically curved Bisonite or contemporary squared-off Tamarao pack, engraved with up to 13 custom characters, and shipped along with a leather-protecting backpack weather cover. 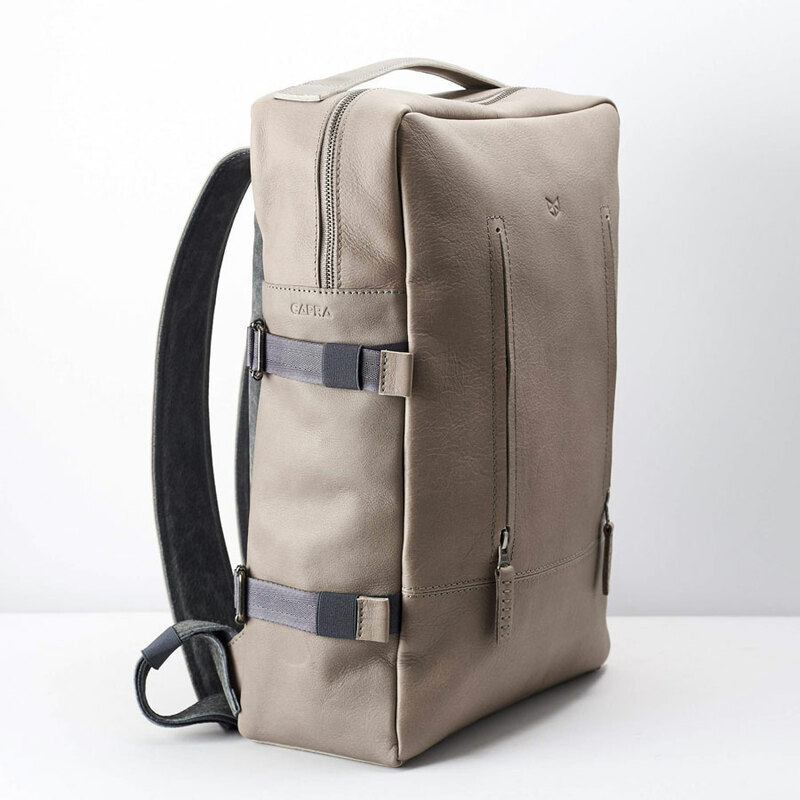 Capra Tamarao packs are made of the same materials, in a more rectangular shape, and in colors Black, Military Green, Dark Brown, Tobacco, and Gravel Grey. 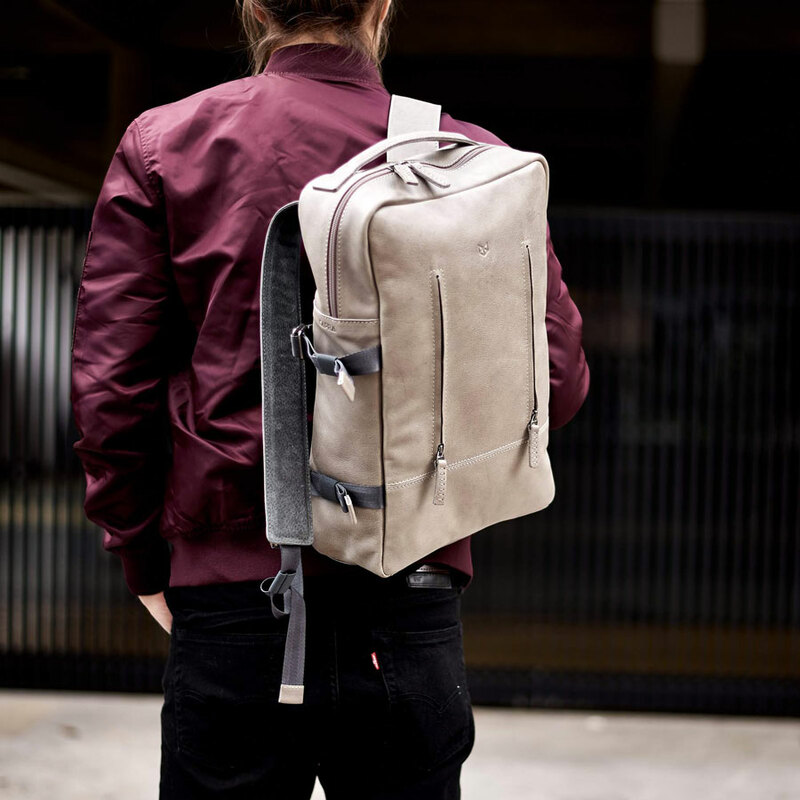 Features are similar, though the Tamarao has a pair of vertical front zipper pockets, while the Bisonite has a single horizontal front zipper. 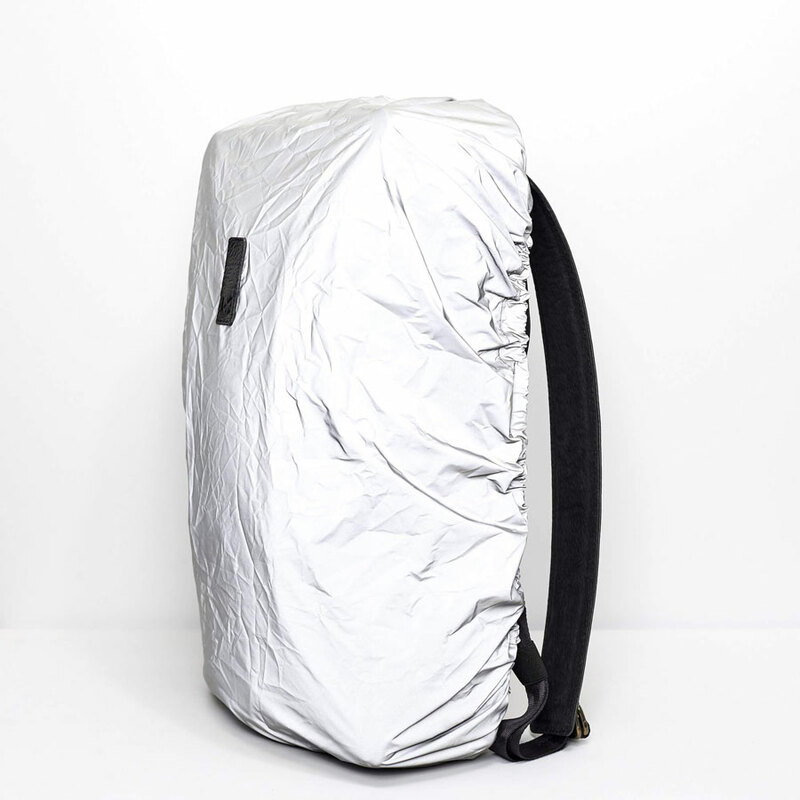 Weatherproof backpack covers fit both styles of Capra packs, and come in Black, Beige, and Reflective White. They pack into an included carrying case. To register, click here and fill out the Capra Handmade Leather Backpack & Rain Cover Giveaway entry form. Or, if you're already a member of DudeIWantThat.com, when the magic entry form button appears, just click it to enter. Giveaway prize includes: winner's choice of Capra Bisonite or Tamarao backpack in choice of color; choice of beige, black, or reflective backpack cover; and optional backpack engraving. Total retail value is $298 with engraving. 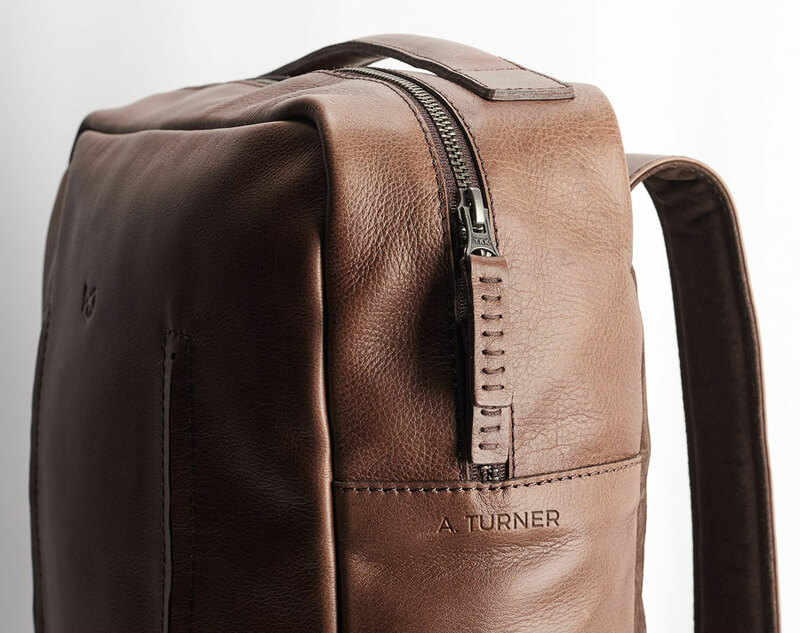 The Capra Handmade Leather Backpack & Rain Cover Giveaway entry period is open through 11:59 p.m. ET on Sunday, September 9, 2018. Our drawn winner will be contacted by email within 48 hours of the entry period's conclusion, and will have 12 hours to respond and claim his/her prize. (Should we not hear back from a drawn winner in the specified time period, a new winner will be drawn and contacted.) Winners should allow up to 4 weeks for delivery. In addition to their leather Bisonite and Tamarao backpacks, Capra Leather makes a full range of EDC and lifestyle leather goods. 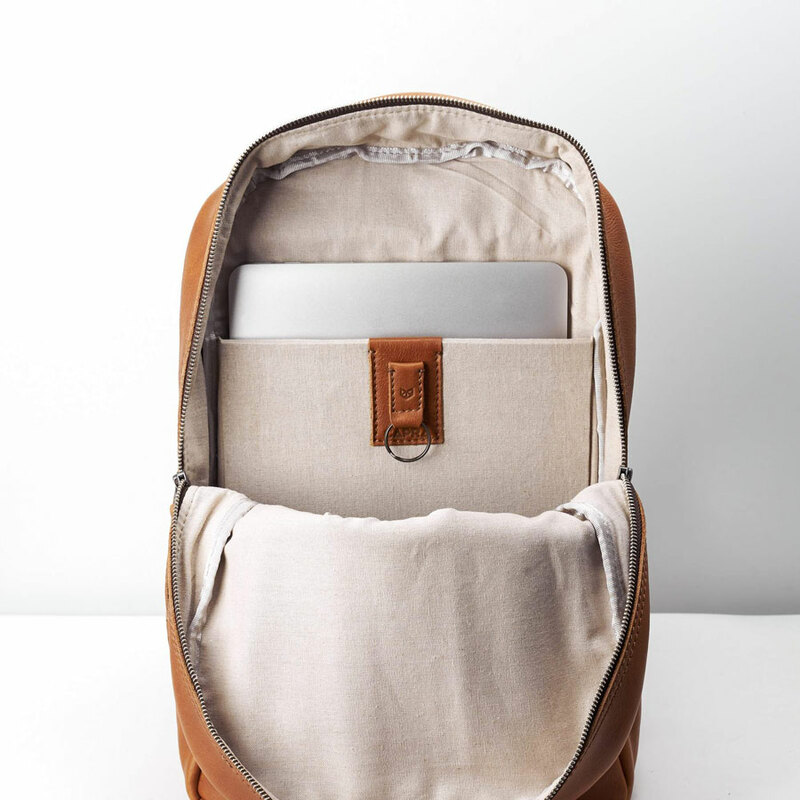 Click here to check out the Capra online store and browse their collections of bags, hand-stitched laptop, phone, and tablet cases, and home and office accessories.